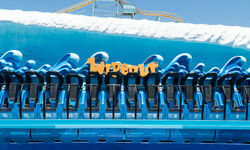 Image: Wet'n'Wild. 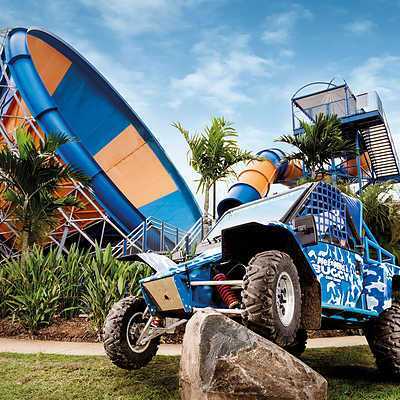 Wet'n'Wild Buggy is now open at Wet'n'Wild Gold Coast. 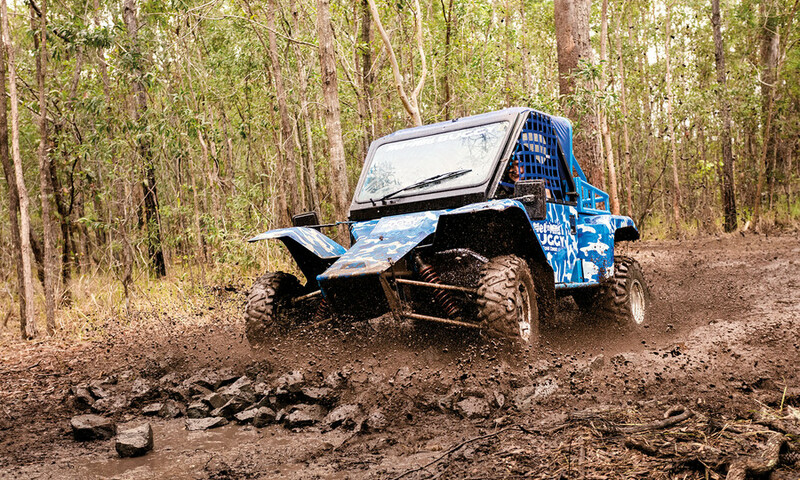 Wet'n'Wild Buggy is a purpose-built adventure track where guests can drive a specially designed army spec buggy and embark on an off-road track riddled with over 50 obstacles that is almost 1.5km in length. 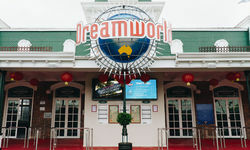 Wet'n'Wild Gold Coast General Manager, Greg Yong said this is an exciting and unique driving experience for the whole family with nothing else like it on offer in Queensland. 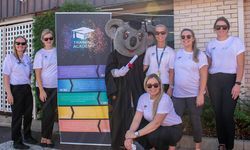 "The purpose-built track covers a land area of 30,000 square metres and is scattered with jumps to get airborne, water obstacles, crazy hills, tunnels and more, providing plenty of thrills and challenges for guests to explore," he said. "Adult guests drive the buggies navigating the course, whilst kids also enjoy a true driving experience with our world-first dual-control buggies assisted by a Wet'n'Wild Buggy instructor." 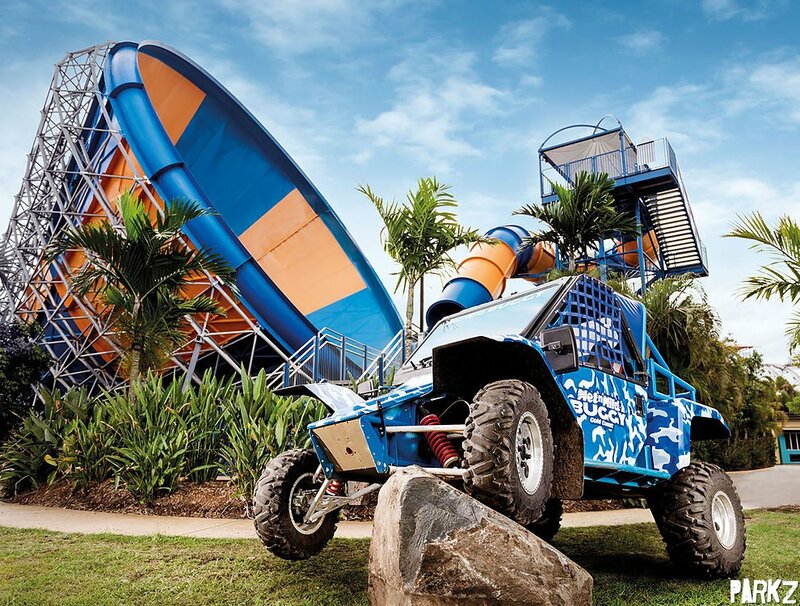 Wet'n'Wild Buggy is now open at Wet'n'Wild Gold Coast. The 1.5km track lets riders drive their own purpose-built buggies through more than 50 obstacles covering 30,000m². 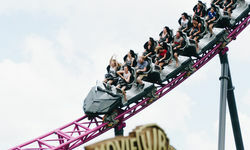 Wet'n'Wild Buggy experiences are not included in the price of entry and need to be purchased separate to park Admission and Season Memberships. 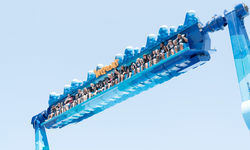 Wet'n'Wild Buggy sessions can be booked in-park at the Wet'n'Wild Buggy site right next to Kamikaze or online.